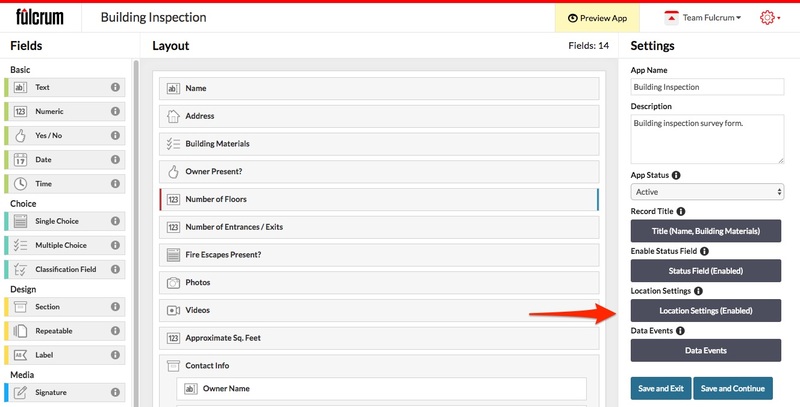 Is there a location field in Fulcrum? Capturing a location for a record. Fulcrum has built-in system fields that are used for capturing the coordinates of a record. To enable location capture for an app all you have to do is enable the location settings that you want to use from the app settings panel on the right side of the app designer page. NOTE: The default setting for this is to have the location capture enabled, but not required.